Septentrio Satellite Navigation nv designs, manufactures, markets and supports highend dualfrequency GNSS receivers with the best possible performance at a very competitive price. Targeted at original equipment manufacturers (OEMs), Septentrio’s core technology is being applied in precise positioning, timing and attitude determination applications. 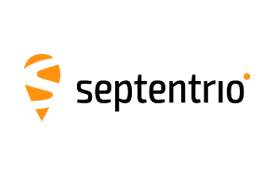 Septentrio Satellite Navigation nv is a young dynamic company founded to commercialize the Satellite Navigation knowhow developed at the InterUniversity Micro Electronics Centre (IMEC), the largest independent microelectronics R&D lab. Septentrio’s headquarters are located in Leuven, close to Brussels, capital of Belgium and of the European Union. Septentrio’s technology is inherently multisystem, dealing with all available satellite navigation signals available today and actively promoting and developing the technology of tomorrow. We actively support customers with customization, prototyping, fieldtesting and assistance in application integration. Septentrio has an international team of experts covering all fields of Satellite Navigation design and applications: design of both analogue frontend and digital base band ASICs and modules, development of embedded software, development and implementation of unique high performance navigation algorithms and expertise in satellite navigation applications from various fields.